Highlighting efforts to preserve timber stocks for the wooden flutes of the future. 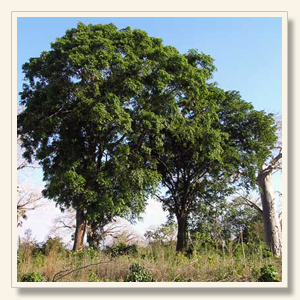 The tree that is known in East Africa as Mpingo is known in the west as African Blackwood or Grenadilla. African Blackwood is a dense and durable timber with exceptional tonal properties and has been used extensively by woodwind instrument makers and luthiers since the first European colonists began sending the heavy black wood from Africa to Europe as ship ballast. Further back in time, African Blackwood is also reputed to have been valued by the Egyptians. 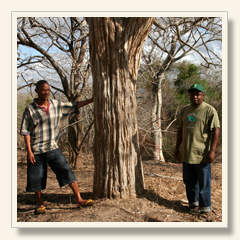 The national tree of Tanzania, African Blackwood is highly valued in East Africa not just for its unique tonal proporties, but also for its use in building, carving and traditional medicine. It is also very important ecologically. Historically speaking, it has been impossible to know the origin of the timber that ends up in the workshops of instrument makers around the world. This is changing with modern identification systems. For many decades it was government entities or foreign interests that controlled and benefited from the exportation of African Blackwood from countries such as Mozambique and Tanzania. Illegal poaching and smuggling has also had a huge impact. The result of this was that the people who lived in and around the forests received little or nothing except the lose of the habitat that had traditionally sustained their existence. Today there is a change happening. Conservation groups have begun to systematically manage the harvesting of the Mpingo forests. Ethically harvested African Blackwood can now be identified and traced to its origin through marking systems that assure the people who grow, harvest and manage the forests will receive financial benefit for their efforts. Profits are reinvested into the timber crops and also used to fund the social needs of the local communities. "The forest is a peculiar organism of unlimited kindness and benevolence that makes no demands for its sustenance and extends generously the products of its live activity; it offers protection to all beings offering shade even to those who destroy it." – words attributed to Lord Buddha. This new approach to the management of African Blackwood is in its infancy – a sapling in iteslf, one might say, that brings hope and optimism for the people who will have the opportunity to manage and maintain their natural resource. By supporting the efforts of organisations such as The Mpingo Conservation Project and by becoming more conscious of where African Blackwood comes from and the process that occurs to get it to the people who work with it, we can all help to assure that there will be good stocks of timber available for future generations. By purchasing African Blackwood that is certified as ethically grown and harvested, we can support the people who live where the timber is grown and who are now playing a key role in the sustainable management of this precious resource. From the point of view of the end user, the instrument makers, there comes the knowledge that the money they are spending goes to the people who helped produce the timber that they are buying and that it will be used to service the needs of their profession in the future. Users of African Blackwood and other rare tonewoods can easily learn to identify the companies that are moving the legally grown and exported timber and avoid purchasing timber that has been poached. When I started making flutes I was concerned as to where the timber came from: were they just hacking down the forests or were they sensitive to the continuation and replanting of the forests? – Martin Doyle. Martin Doyle has been an ardent promoter of the protection and sustainable use of African Blackwood for a number of years and has taken part in the making of two major radio documentaries high-lighting efforts towards these ends. The first of these programmes was Sounding Post – a feature that was produced for BBC Radio 4 by Nina Perry who is an independent radio producer, composer and sound designer with Falling Tree Productions. Sounding Post looks at the use of timber in instrument making around the world and Martin Doyle was one of the instrument makers invited to participate. It also features music played by all of the participants on a variety of instruments and Martin plays the traditional Irish tune Na Ceannabháin Bhána on one of his flutes. 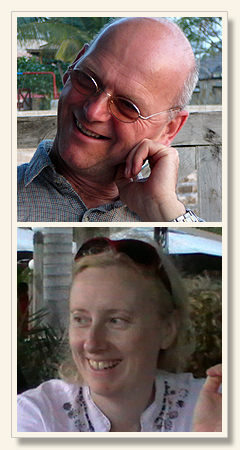 In September of 2009, Martin Doyle visited Tanzania to assist with the making of The Music Tree – a radio documentary that highlights local attempts to preserve a precious tonewood resource by promoting the sustainable and socially equitable production of Mpingo timber. The Music Tree was also produced by Nina Perry of Falling Tree Productions for radio NewsTalk FM in Ireland and also aired in Great Britain, Canada and America. While in Tanzania making The Music Tree, Martin was able to produce an Irish flute with the participation of a group of wood carvers in Dar es Salaam using local tools and machinery. For the Tanzanians, it was the first time that they had ever seen a wind instrument produced from their beloved Mpingo timber. For Martin Doyle, who has predominantly worked alone during his career as a flute maker, it was unique experience to see how the Tanzanians worked as a team to accomplish the task of making a flute with great enthusiasm, energy and ingenuity. Having fulfilled the initial goal of making a flute, Martin travelled inland from Dar es Salaam to meet the people who are nurturing the new model for the sustainable production of Mpingo timber. The Mpingo tree has been considered sacred by the Tanzanians for centuries and is the national tree of Tanzania. Martin Doyle completed his first flute made from African Blackwood that is certified by the Forest Stewardship Council (FSC) in June 2011. Peter Browne of Ireland's RTÉ Radio 1 interviewed Martin for The Rolling Wave regarding instrument making, timber conservation and the use of certified timber. Joe Doyle, one of Martin Doyle's two sons and an accomplished musician himself, happened to be visiting Martin on the day that Peter Browne was visiting Martin to record the interview so Martin and Joe played two sets of tunes together which were included in the interview. Joe was playing the new FSC certified Blackwood flute and he later recorded a traditional Irish reel that can be heard here. 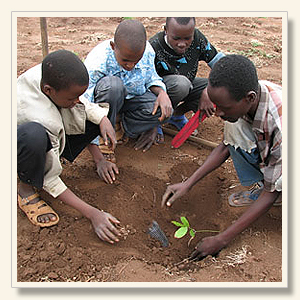 African Blackwood Conservation Project – helping to replenish African Blackwood in Tanzania. 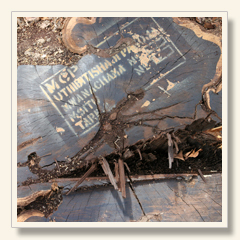 The Mpingo Conservation and Development Initiative – promoting the sustainable use of African Blackwood. Sound and Fair – realising sustainable trade in African Blackwood. African blackwood – a sound choice for the woodwind musician – New Agriculturist. Tanzania tree strikes right note – BBC News. African Blackwood – Wikipedia, the free encyclopaedia. Forest Stewardship Council – an independent not-for-profit organisation established to promote the responsible management of the world's forests. Global Trees Campaign – existing to secure the future of the world's threatened tree species and their benefits for humans and the wider environment. Just Forests – highlighting the role and significance of timber/forests in the overall debate on sustainable human development.